How much is Taha Mikati Worth? Taha Mikati net worth: Taha Mikati is a Lebanese billionaire who has a net worth of $3.5 billion. 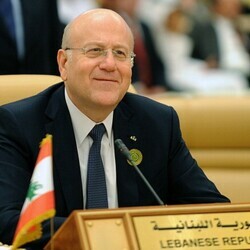 Together with his brother, Lebanese Prime Minister Najib Mikati, Taha founded telecommunication provider Investcom at the height of Lebanon's civil war in the 1980s. After IPOs in London and Dubai, they sold their company to South Africa's MTN Group for $5.5 billion in 2006, but the Mikati has still remained MTN's second-largest shareholder ever since. Also, Taha Mikati co-founded M1 Group, a holding company led by his son Azmi, a Columbia University engineering graduate. The M1 Group has a great variety investments in various industries including real estate, jet leasing, fashion; holding shares in notable companies like the classy fashion line Faconnable, the largest Lebanon's bank Audi or UK's supermarket chain J Sainsbury. Reportedly, the Mikatis hired British architect Norman Foster to redesign their headquarters in the country's capital Beirut.